No real consensus regarding the definition of dumping syndrome (DS) seems to exist and few subtyping is used in clinical practice. Knowledge is needed for correct design of trials and establishment of uniform treatment strategies. The aim of this study is to explore the distribution of clinical characteristics related to the subtypes of DS. A comprehensive search was performed in Cochrane, Google Scholar, PubMed, and ResearchGate. Data were collected on the definition and diagnostics of DS used in each study. Twenty-seven clinical trials were included. Seventeen articles clearly provided a definition of DS and ten of these differentiated between early and late DS. Diagnose of DS was based on clinical symptoms (24 articles), hemodynamic parameters (e.g., tachycardia, hypotension; 9 articles), and biochemical analysis (e.g., blood sugar level; 12 articles). Questionnaires were used in 13 articles. A total of 67 different symptoms were correlated with dumping syndrome. Two symptoms were exclusively correlated with early and nine with late DS. Nine articles differentiated between early and late dumping based on timing since the last meal. Hypoglycemia was correlated with late DS in ten articles. This study reveals a vast heterogeneity in the definition and clinical characteristics of DS after RYGB. We feel that a standardized definition is required to provide a firm parameter in the evaluation and setup of clinical trials. A better understanding and description of the definition and diagnostic criteria of DS after RYGB is crucial to improve scientific reporting. 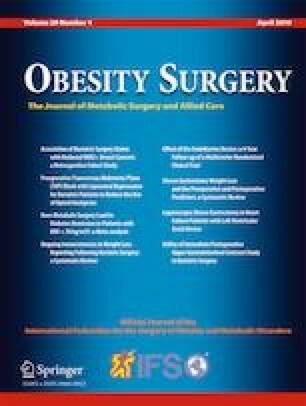 allintitle: “dumping syndrome” and “gastric bypass”. Higgins JPT, Green S. Cochrane Handbook for Systematic Reviews of Interventions Version 5.1.0 [updated March 2011]. The Cochrane Collaboration; 2011. www.handbook.cochrane.org.